So you might remember when Jesus rode back into Jerusalem and then found the temple filled with moneychangers... people selling merchandise and obviously not using the temple the way it was meant to be used. This clearly upset the Savior... And the main reasons should be obvious. This was His Father's house. And it was supposed to be a place of prayer and worship. But it went deeper than that, I think. Does this picture look familiar? 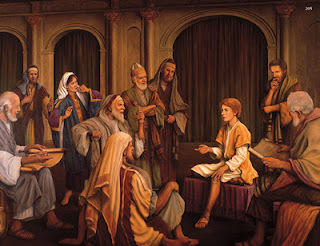 It is Jesus as a boy teaching in the temple in Jerusalem. He grew up with this temple... but the people have made it "a den of thieves." There are a lot of reasons why this upset the Savior... and I'm not positive, but I'm pretty sure this was the second time he had to cleanse the temple... you'd think they'd learn the first time. Now... the Savior is not an easily angered person. He doesn't just get mad at people. He is loving and caring and sees everyone for what they can become. So the fact that he was turning over tables should tell you something. It reminds me of something that happened in our dear prophet Joseph Smith's life. Click here to watch The Prophet of the Restoration movie... skip to 39:09 and watch until about 41:00. Isn't that the coolest thing ever? That is one of my favorite parts of the Joseph Smith movie. “...Dignity and majesty have I seen but once, as it stood in chains, at midnight, in a dungeon in an obscure village of Missouri." There came a point where Joseph Smith was simply unwilling to listen further. Similarly, with the cleansing of the temple, the people were disgracing their Father... there was a point where the Savior was unwilling to let it go further. Okay. So how does this apply to YOU?? 16 - And would not suffer that any man should carry any vessel through the temple. 17 - And he taught, saying unto them, Is it not written, My house shall be called of all nations the house of prayer? but ye have made it a den of thieves. ...and replace temple or house with my heart. 16 - And would not suffer that any man should carry any vessel through the my heart. 17 - And he taught, saying unto them, Is it not written, My my heart shall be called of all nations the heart of prayer? but ye have made it a den of thieves. Note that in the above video the Savior didn't have to touch or push anyone out. They left as soon as he was present and told them to get out of there. Now take a look at the verses we edited. If you find that your heart is filled with bad thoughts or desires, maybe instead of focusing all your time on trying to push them out, try inviting the Savior in. The bad things will have to leave. The same is true with your schedule and your actions. 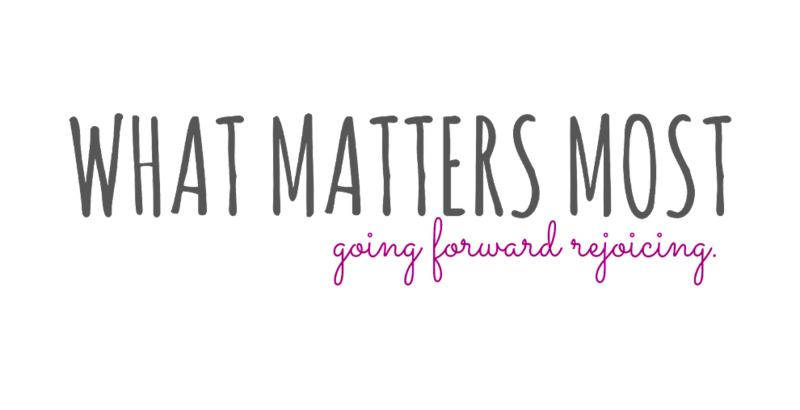 Replace the bad/unimportant things and habits with the good. Because no unclean thing can dwell with God. So draw nearer to Him and be perfected. And never forget that He sees you for who you can become. I think I will continue in the next post... maybe talk about the widow's mites? P.S. I'm like 1 1/2 weeks short of ONE YEAR with this blog! yay!